Not many people know that making a beer-cocktail is actually quite tasty! Especially sitting outside on a sunny patio! Molson sent me a few Coronas and a Cocktail recipe to try, so we couldn't resist whipping up a drink (or two)! and crushed chilis, garnish with a lime. 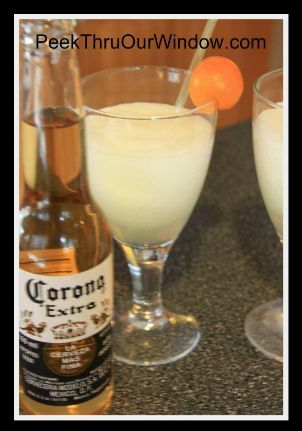 In a blender, add 1 cup ice, 1 oz tequila, 1 oz lime juice, 1 oz orange syrup and 1/2 tsp chopped chili peppers. Blend and pour into a margarita glass. 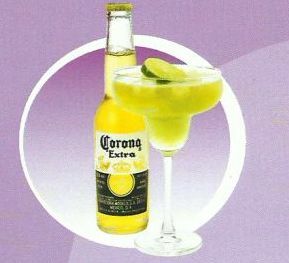 Add 3 oz Corona and garnish with a lime wheel. This time around we did not have the orange syrup nor a lime, so we chose to garnish with a kumquat (which oddly, we did have). I was worried that the cocktail would taste too much like beer (and I don't mind beer), but found it very refreshing and still very much like a lime margarita with a kick! 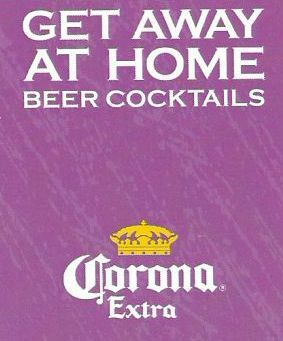 Have a 'Get Away From Home' beer-cocktail today!